in the Historic Hudson River Valley! We are Closed for Camping this season. Opening Weekend is Friday, April 26, 2019! Business Office is open with Limited Winter Hours. We provide camping enthusiasts a beautiful, clean, quiet, relaxing retreat to enjoy friends and family, experience nature and create wonderful memories! A Perfect Place for your Reunion or Rally! "Give the Gift of Camping" with a Gift Certificate - it does not expire! A Premier New York Campground. Enjoy Southeast NY Camping at its Finest! 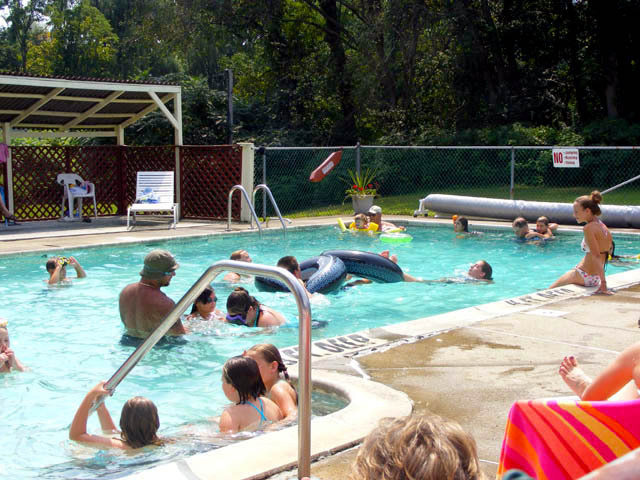 When it comes to amenities, we simply offer more for camping and the hub for adventures in the Hudson Valley of southeast New York. New York Satellite users love our open sky, tent campers love our secluded, wooded tent sites near the water and bathhouse. 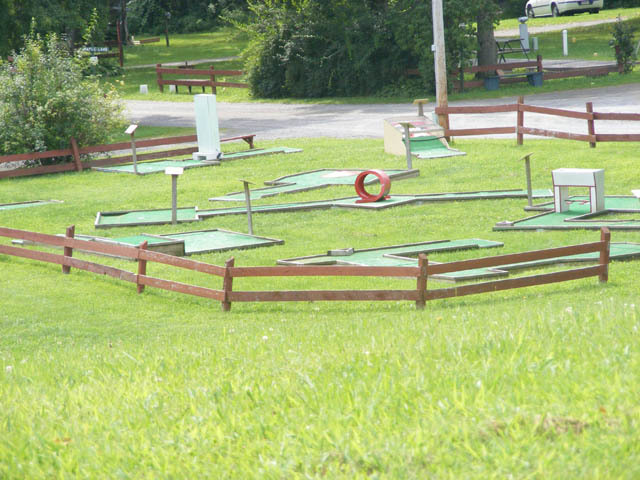 Enjoy games of basketball, mini-golf, volleyball, horseshoes, softball and bocci. Kids will have hours of fun at our playground, riding their bikes, exploring our forest, and splashing around in or fishing our babbling brook. Brook n Wood offers recreational activities of every kind. Make your Reservations Now! Beautiful, Clean, Quiet and Relaxing, All That’s Missing Is YOU!
. Make your Reservations Now! 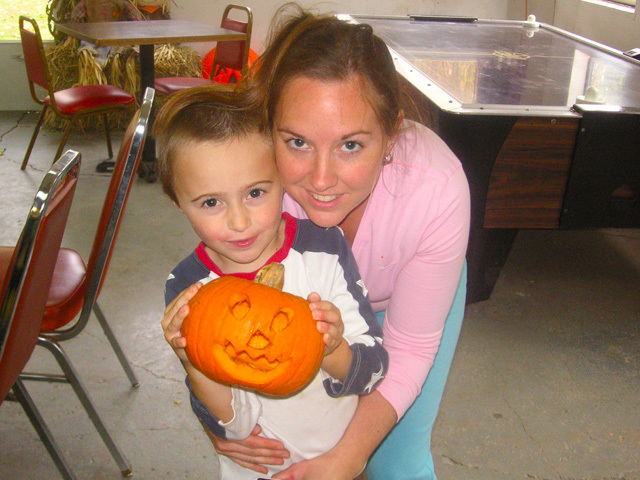 Brook n Wood is owned and operated by the Leto Family. Whether you like to pitch a tent in the back country, bring the comforts of home with you in an RV or rent a cozy cabin, Brook n Wood has the camping experience for you! 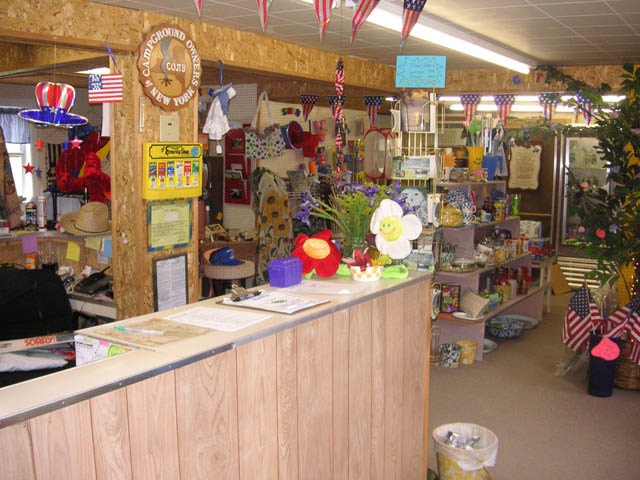 Brook n Wood's store offers all the necessities, including firewood, ice, propane, ice cream, toilet paper, RV supplies, plus a lot more! Our campground has big roomy sites. Our full-hookup sites feature water, sewer, and 30 or 50 amp electrical service, Free Wi-Fi and Cablevision. There are modern clean restrooms with hot showers and flush toilets for the comfort and convenience of our guests. Check out our Activity Schedule and make your Reservations Now! We have a full Activity Schedule planned for you! 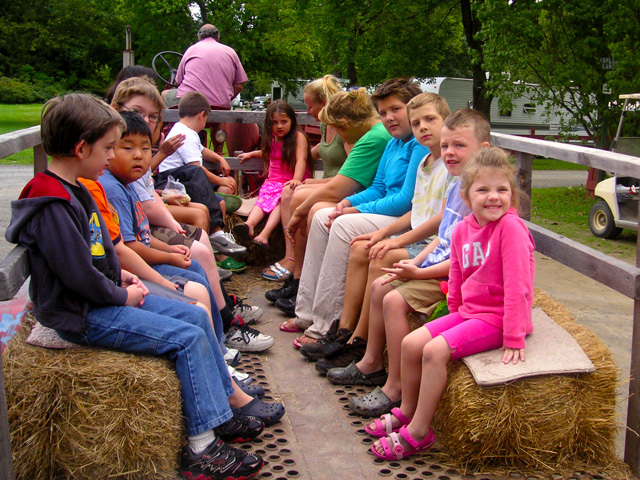 Whether it's face painting, pig roasting, crafts, or absolutely nothing, we have just the right place for you to do it! Basketballs, volleyballs, soccer balls, kick balls, and 4-Square balls along with frizbees, badminton, and lawn dice are available at the office to borrow, with a small deposit. 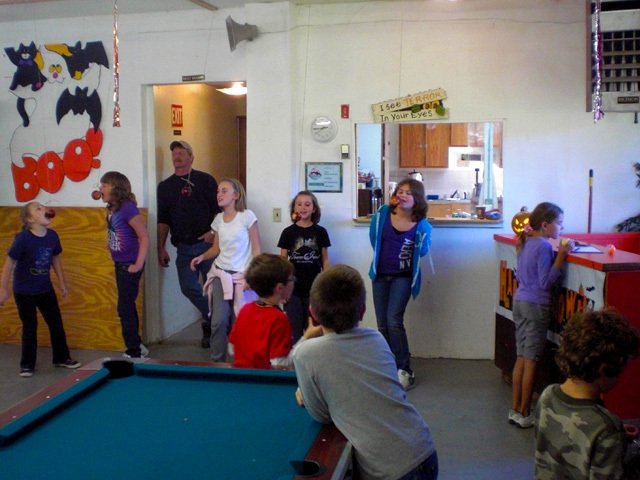 Brook n Wood has all the best in NY Camping Facilities! 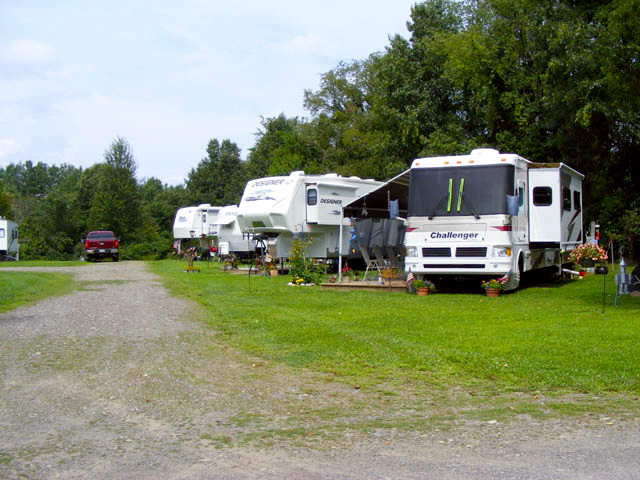 Our 150 spacious RV sites are level and grassy, accommodating rigs up to 50 feet in length. Choose from shaded or sunny areas that offer a panoramic view of our region. Our full-hookup sites feature water, sewer, and 30 or 50 Amp electrical hookups, FREE Wi-Fi and Cablevision. 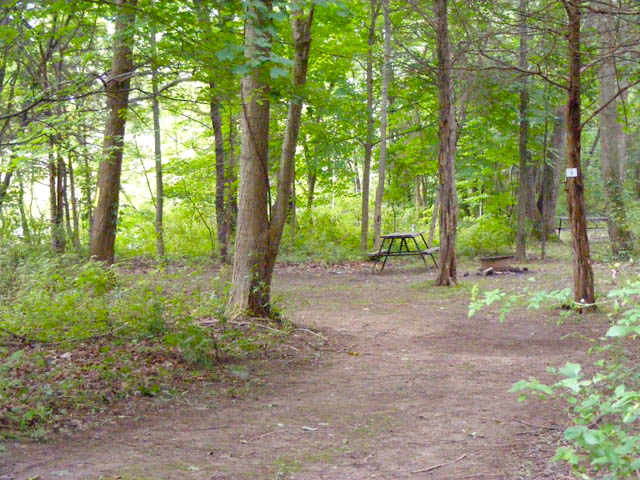 Spend a night, weekend, vacation or season in the refreshing beauty of Brook n Wood Family Campground in the Hudson Valley of Southeastern New York. 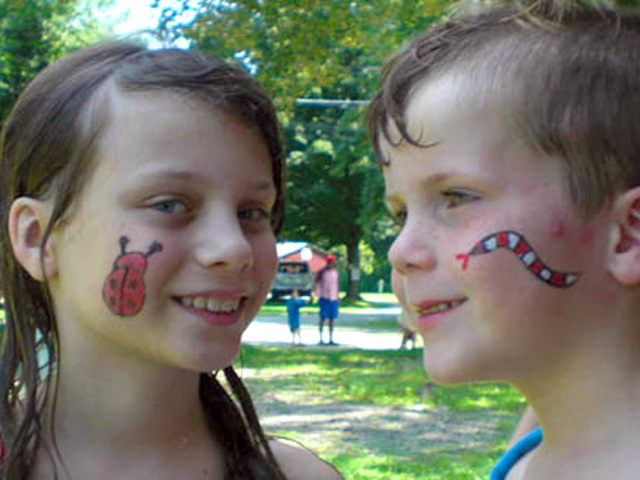 Set on 62 lush acres in the heart of historic Hudson Valley of southeast New York, Brook n Wood Family Campground is nestled between the Berkshire and Catskill Mountains. © Brook n Wood. All rights reserved.